The new company will have a market capitalisation of $US33.5 billion, making it the sixth-largest defence company in the US. 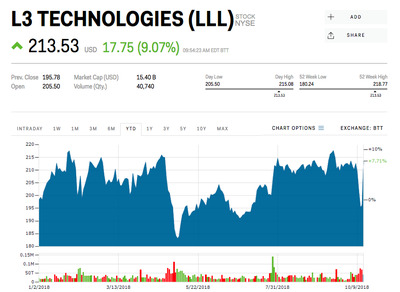 L3 Technologies and Harris Corporation rallied Monday morning after the two companies agreed to merge in an all-stock deal. 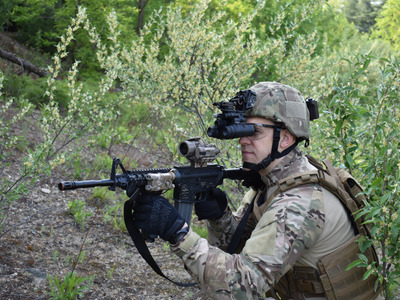 The new company will have a market capitalisation of $US33.5 billion, making it the sixth-largest defence company in the US, according to the company release. Following the news, L3 Technologies climbed 4.9% and Harris Corporation jumped 5.4%. 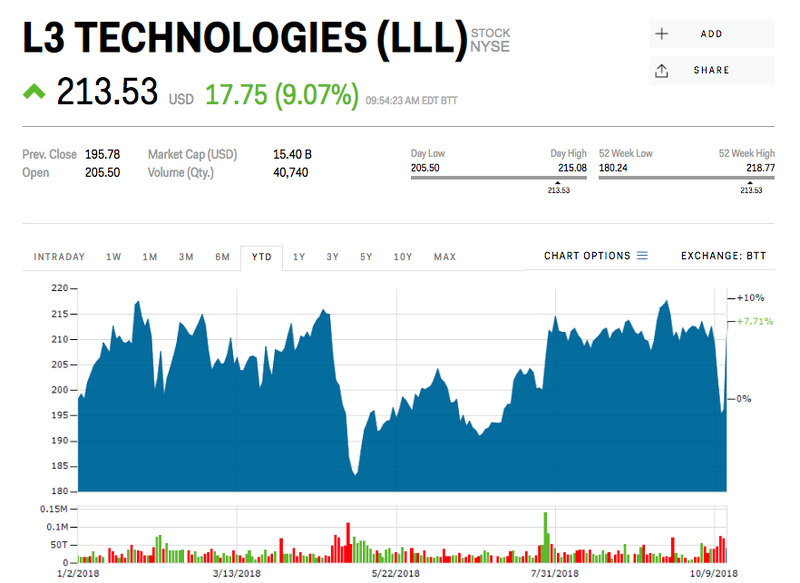 The combined company, called L3 Technologies, is expected to generate net revenue of approximately $US16 billion, earnings before interest and taxes of $US2.4 billion, and free cash flow of $US1.9 billion. The company will employ 48,000 people and will have its headquarters in Melbourne, Florida, where Harris is based. “This merger creates greater benefits and growth opportunities than either company could have achieved alone,” said Christopher E. Kubasik, L3 chairman, president and chief executive officer.